Skin wrinkles are an unfortunate side effect of aging and are especially common around the eyes. Wrinkles just to the side of the eyes are often referred to as crow’s feet or laugh lines. 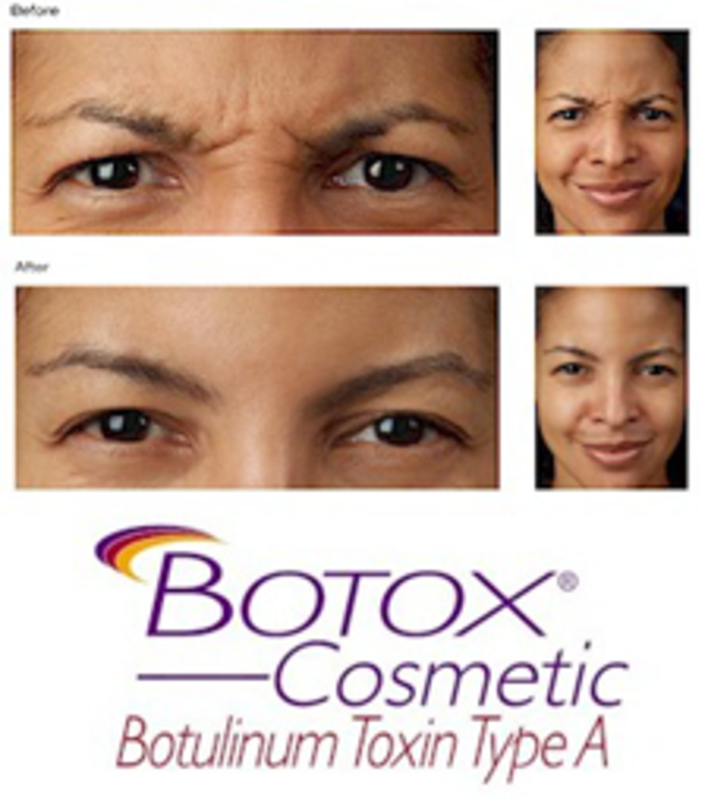 Wrinkles between the eyebrows are often referred to as frown lines. Fortunately, there is a treatment which can temporarily reduce the wrinkles in these areas. This treatment is known as Botox. Botox is a medication which when injected in very small amounts can stop the muscle contractions from occurring that lead to wrinkles. The treatment consists of injections in the muscles underneath the skin in the affected areas. These injections are relatively painless and last for 4-6 months at which time they can be repeated. If you are interested in learning more about Botox treatments, give us a call or make an appointment and we can discuss the injection procedure further. Diabetic eye disease is one of the leading causes of vision loss throughout the world. The most common ocular complication of Diabetes is known as diabetic retinopathy. This problem is characterized by the formation of small hemorrhages (spots of bleeding) and abnormal blood vessels in the retina. As this problem progresses, it can lead to the leakage of fluid into the retina as well as bleeding. Once this stage is reached, there can be severe worsening of vision and the need for treatment arises. Treatment for this severe form of diabetic retinopathy can consist of laser treatment to the retina as well as the use of intraocular medication injections which can prevent the growth of abnormal blood vessels and bleeding. One of the most common drugs used for retinal injections is called Avastin. There are other drugs which can be used if the patient fails 1st line treatment. We now have a retinal specialist on site! 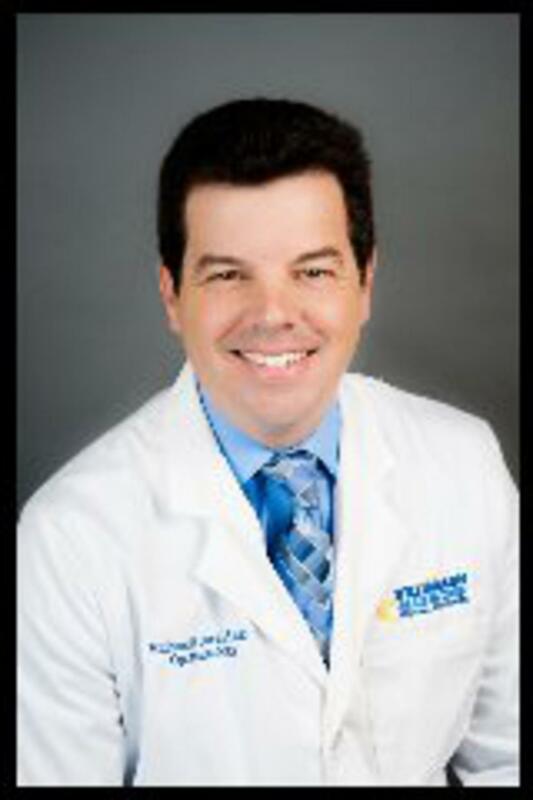 If you are in need of a diabetic vision exam, one of our specialized doctors can see you. Please contact us so we can schedule your appointment. 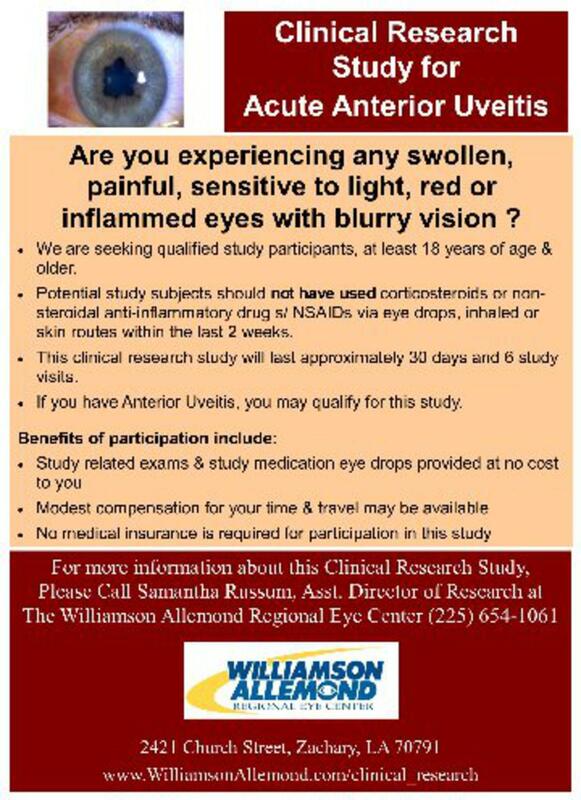 NOW OFFERING A CLINICAL TRIAL FOR UVEITIS! Glaucoma is a potentially, devastating, eye disease and often has no symptoms until irreversible damage and loss of vision has occurred. Glaucoma is the 2nd leading cause of blindness in the U.S. today. 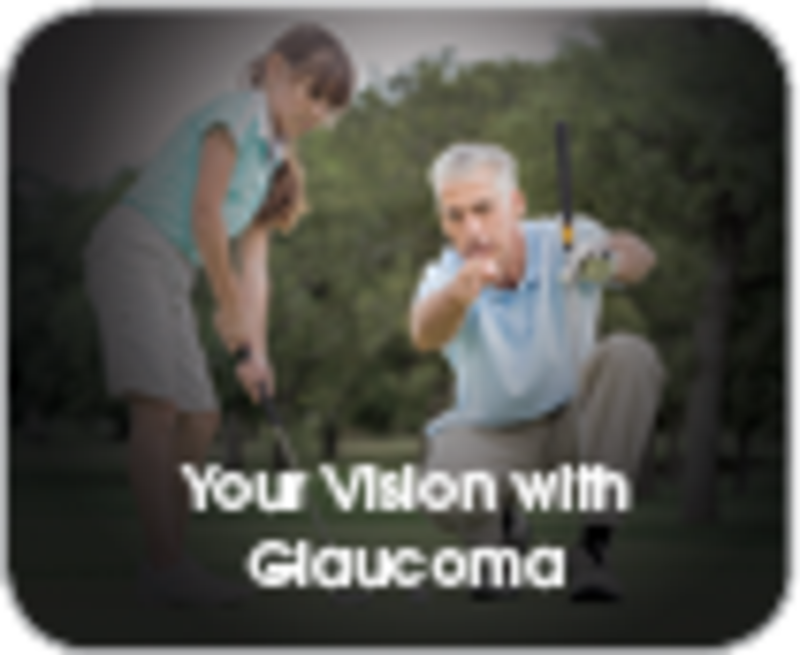 Glaucoma is a result of damage to the optic nerve which in turn causes loss of vision. Increased pressure inside the eye is often the culprit, but there are other factors such as blood flow that comes into play. Age – Those who are over the age of 60 are up to 6 times more likely to develop glaucoma. Family History – Those who have close relatives with glaucoma are up to 8 times more likely to develop glaucoma. Race – Those who have an Asian or African American descent are more likely to develop glaucoma. Certain Medications – Those who have been on steroids for extended lengths of time are more likely to develop glaucoma. Certain Health Problems – Those people who have any of the following or a combination of the following health problems are more likely to develop glaucoma: diabetes, high blood pressure, and hypothyroidism. Eye Injury – Those who have had some sort of injury to one or both of their eyes are at risk of developing glaucoma. The only way to properly diagnose and treat glaucoma is by having a thorough eye examination performed by a Board Certified Optometrist or Ophthalmologist who is highly trained in dealing with this particular disease process. If you or someone you know is at risk for developing glaucoma, call us today to schedule your appointment. Call Or Come By Our Office!